Recycling solution with smooth surfaces and contoured edges. Modern appearance fits seamlessly into any indoor or outdoor commercial environment. The heavy-gauge steel with a durable powder coat finish ensures the receptacle withstands the rigors of everyday use and extends the life of the product. 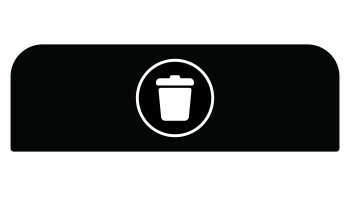 Our 10 waste stream labels (mixed recycling, paper, glass, plastic, cans, organic waste, landfill, compost, trash, and waste) provide visual cues that help aid in getting the waste in the right container. The Configure™ Decorative Waste Containers provide a recycling solution with sleek, smooth surfaces and contoured edges. This recycling system has a modern appearance that will fit seamlessly into any indoor or outdoor commercial environment. 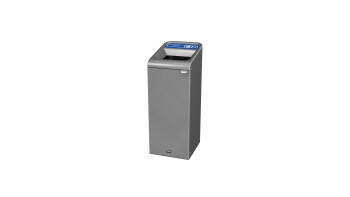 The Rubbermaid Commercial Configure™ Waste Receptacle Trash Can Sign helps increase waste management compliance.